Special notes: Generic Sildalis 100/20mg x 30 pills is sent in discreet packaging without reference to the pharmacy or medication on the packaging. Package is strictly unmarked. 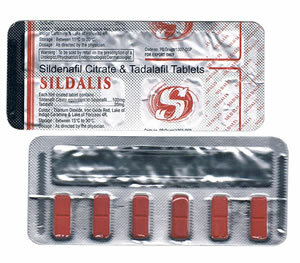 To buy Generic Sildalis 100/20mg x 30 pills just click Add to Cart button here or on the right top of this page near product image.